Stop using expensive blue sprays, and don't waste effort with mediocre microfiber. This premium quality cloth is made from a superior material that's specially designed for cleaning glass, metal and other smooth, shiny surfaces. It's not treated with any chemicals, and you won't need any soaps, cleansers or sprays when you use it. Water alone will allow you to power through any dirt, lift up any smudge and leave the glass, clean and polished, but also free of any spots, streaks or fuzzy lint. When compared to other branded versions that cost way more, this one will work better and last longer. When compared with traditional methods, there is no competition. Once damp, the unique micro-ridges will act like teeny tiny squeegees with the ability to absorb and lightly scrub. A single pass over any glass object will remove all of the grime, and leave the surface sparkling. It's perfect for windows and mirrors, but you can also use it on stainless steel appliances, chrome wheels, glass tables, crystal stemware and more. Not only will you remove dirt with speed and precision, you will also lift up 99% of all bacteria and germs too. The large, 16 x 16 size provides ample surface area, and each cloth is totally reusable and rated for hundreds of washes. Top Quality. Other microfiber cloths claim to be good for glass, but few offer the quality, performance, and ease of use that this one does. Don't pay a premium price for other products and guess at whether they will work. This one has been tested thoroughly, and it's made from a unique material that's guaranteed to perform. Specialized Material. Unlike the multipurpose suede or terry fabric that other options are made from, this one is constructed using a material designed for a single purpose; cleaning glass. Little ridges are woven into the fabric to improve performance, and the high density provides incredible surface area for cleaning. Never skim over dirt, or leave behind fingerprints, and never end up with spots, lines, or lint. Totally Reusable. Stop tossing paper towels after every cleaning, and don't settle for other cloths that wear out quickly. This one is rated for thousands of uses, so it will work like new for years to come. Machine Washable. It won't need to be laundered after every use, but when it does get too dirty, just toss it in your washing machine to clean it. PLEASE NOTE: Never use fabric softener, dryer sheets or bleach when washing. Versatile. Perfect for anything made from glass, but also useful on other shiny materials too. Use to clean stainless steel, chrome, painted metal, mirrors, plastic, fiberglass and more. Easy To Use. No cleansers to spray and no soaps to mix, but the results are guaranteed. Quickly and easily remove smudges, greasy prints, water spots, regular dirt and so much more. Use less effort, and look like a professional at the same time. Eco-Friendly. Nothing to throw away, no empty spray bottles, and no toxic chemicals. This cloth is safer for the environment, and everything living in your home. Remove the same amount of grime, but eliminate the risk in the process. Quickly Disinfect. Lift up 99% of all germs and bacteria, and lock it in the cloth for later disposal. The millions of fibers, pick up and absorb nasty germs to leave your home clean and safe. Superior material makes cleaning easy. Never use blue spray again, and keep your windows, mirrors, glasses and appliances cleaner than ever. Order Yours Today! I love these cleaning cloths. No streaks! These make short work of cleaning the windshield inside my car. Would recommend. Does all it says it does. Easy and no harsh fumes. I have Parrots and I have to be very cautious with cleaning items. With this I just have to use water and cleaning cloth. This is a very good window cloth. It does not really stretch in either direction (this meaned it was weaved well both ways), and this allows me to wring it out well before use. I only need water to wash mirrors, windows, and hard surfaces. When used just damp, it does not leave any streaks behind. You must wring out all microfiber very well for it to work well. The only weird thing about this is that it is advertised as green, but the one I got is blue. Also, the tag is rather flimsy and so thin that it is hard to hang this up to dry or store. I really wish it had a hanging tag like the Norwex window cloths. If it had a better tag, I would give it 5 stars. This cloth is amazing. It really works. Highly recommend. Was very pleased with the glass cleaning cloths. Very easy to use. I have never used anything that works like these cloths. Mine were blue, but I've noticed that these are a yellow/green color. I even ordered more, and found out I ordered the wrong cloth. I was so disappointed, as I had given some away. I am returning the ones I ordered and plan on reordering the correct ones. They clean so well. Thank you for making such a great product. Fantastic product and price--I wet one with water and buff with dry one--no streaks, no lint, no marks whatsoever. Love it and so does hubby for the vehicles! This is Exactally what I was looking for. Perfect window rag! Works great, just like my expensive one! Love, love, love this glass cleaning cloth! I am very impressed with the glass cleaning cloth. I've never seen anything like the way it works. In fact I bought 4 of them. Kept 2 for myself, use one for washing and one for drying and gave the other 2 to my daughter-in-law. They work like magic! I'll never use anything else. The suggestion to dampen half the cloth to clean and then dry with the other half is spot on! Or off, since the mirror is not clean and the reflections are super clear. do you still carry the Window Cloth (#909)? - is the Glass Cleaning Cloth similar to the Window cloth? As good or better? Yes. 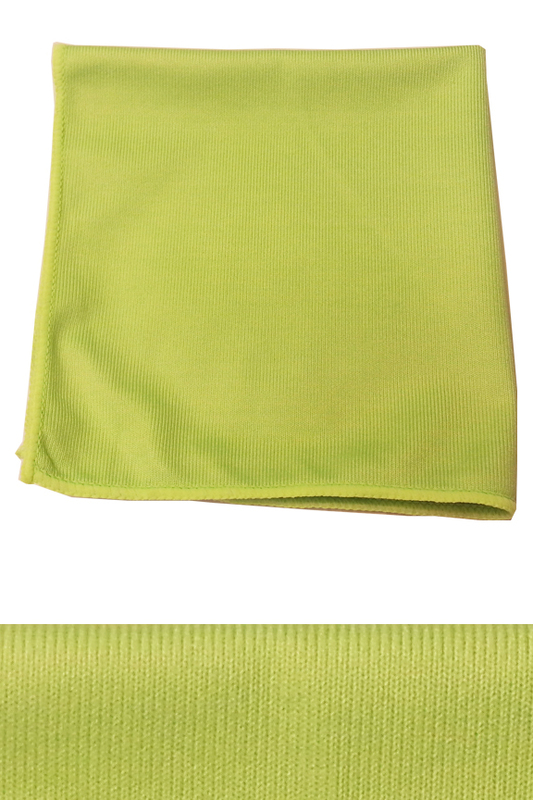 Find our Ultimate Window Cloth here: http://www.simplygoodstuff.com/window_cloth.html . They are similar in some ways, but one is not really better than the other. Personal preference will play a large role in determining which one you might like better. They are both good, and both can be used to clean any type of glass. With my current window cleaning method, I used a Norwex cleaning cloth to clean and then A Norwex windown cloth to dry. Would this glass cleaning cloth eliminate needing two cloths? Like would it dry streak free if I use it damp? Exactly. It's like two cloths in one, and you can certainly add water to get streak-free results with less effort. And yes, it works just as well as expensive cloths with fancy names.